The Sunreef Yachts shipyard is located in Gdansk – a dynamic seafaring city with a strong economy and long naval building traditions. Our production halls and offices are in the heart of the old Gdansk Shipyard – a historic place that witnessed the birth of Solidarity and its victory over the communist regime. Sunreef Yachts has all the knowledge, experience and facilities required to build top quality composite units, using the most advanced technologies available in the shipbuilding industry. Housed in purpose-adapted halls, and boasting a highly developed infrastructure with all the necessary workshops and specialists along with privileged direct access to the waterways of the Gdansk port and the Baltic Sea, it ensures cost savings inherent to project management and workforce coordination. 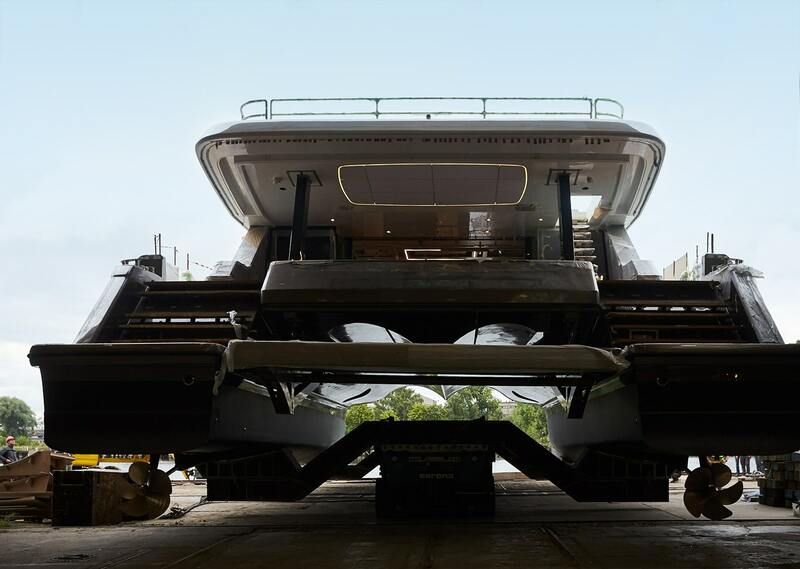 Sunreef Yachts has easy access to the most optimal infrastructures: a 300 ton floating crane, which can lift yachts up to 210 ft, all workshops located under one roof and above all – the most experienced craftsmen. The yard also provides a comprehensive mechanical, electrical and electronic service. There is also a dry and warm storage space for storing materials while the yacht is under construction, which is very convenient for any captain or project manager. Having acquired 4 hectares of land, Sunreef Yachts is also planning to increase its overall production capacity with the construction of a new, purpose-built facility in the city of Gdansk.